as I feel it connects with the age and history of the dwelling . A holiday Tradition...Old historic buildings fascinate me . I wonder and imagine what life was like for the people living there all those years ago. with writings about the 'lady' of the house . She believed the best in everybody. She believed life was on her side. She forgave easily and loved freely. She made the most of her life . Why not Have a play and enjoy the process. What an amazing way to crack this case! Love the colour pallet and how stunning is that house? I can just imagine what a Grand girl she must have been in her glory days!Lovely work Heather, especially with all the crackling medium! This is GORGEOUS Heather! 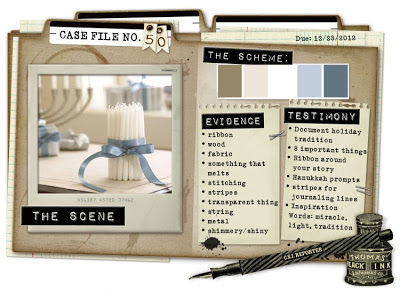 I love love love love the colors, the photo and that journaling is AWESOME!!! Amazing page love the picture and al your cool details. Stunning, the photos are so evocative! Beautifully finished too, a gorgeous LO but then that's nothing new, yours always are!! Heather I love that you use photos 'not containing people', they leave such a lot to the imagination and it's lovely to look at all the detail you include on your pages. 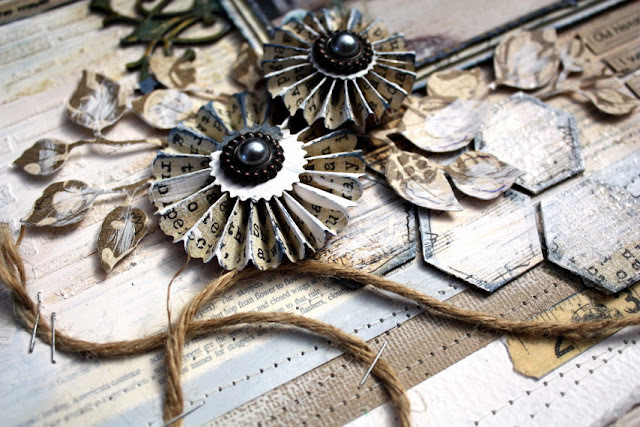 Such a stunning vintage lay-out! 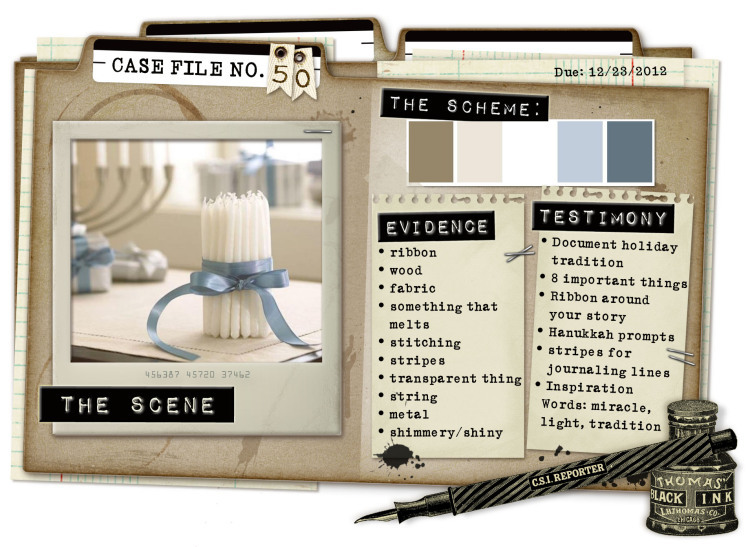 The way you altered the journaling strips looks just amazing! Such a clever idea! 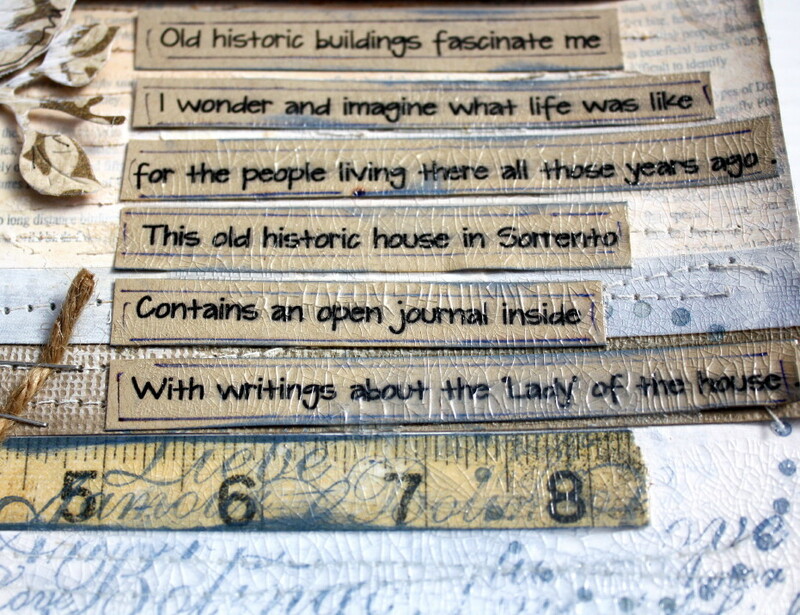 Totally recognize the fascination for old buildings and their stories! Great combo, the picture and the papers. The whole page takes you back to the older days. Ooooh me too! What a gorgeous old building! Your page is just divine Heather. Those subtle hints of blue are perfect! 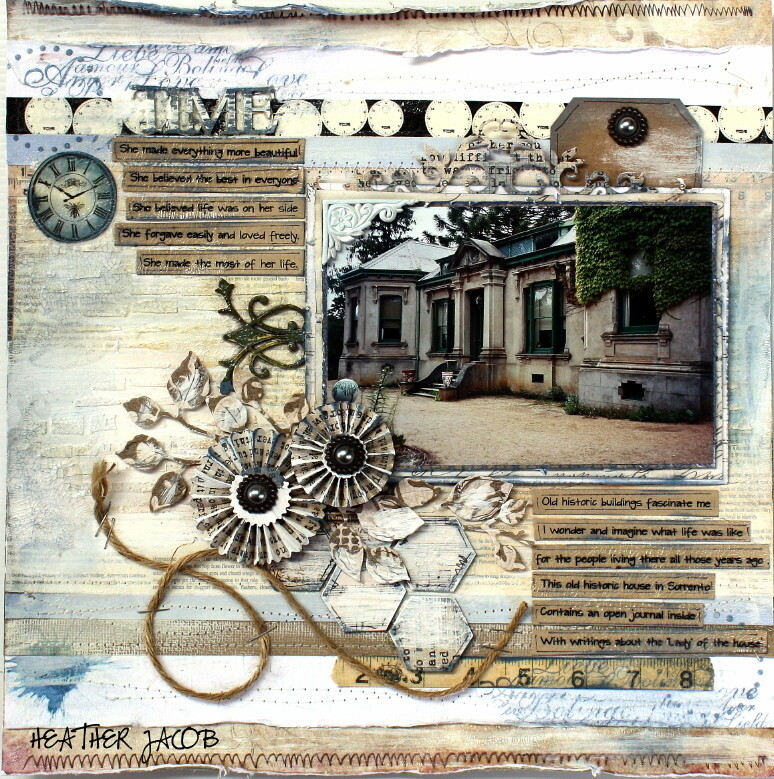 Absolutely gorgeous layout, love all details and love the picture too!! what perfect colours, perfect distressing perfect design for that photo! Heather I have missed your stunning layouts!!!!!! Will try and catch up with all your gorgeous creations!!!!! Oh I agree re the older buildings. We took the kids to Emu Bottom Homestead in Sunbury earlier in the year and they were just fascinated that a family lived there so so long ago. The gorgeous big fire places, heavy doors. And they talked about if for days with so many questions about their life (that we had to guess the answers too). And not surprisingly, you have showcased this gorgeous photo beautifully. Hi Heather, this is awesome.. really I am in awe of this.. the details and all the thought that has gone into it.. the vintagey colors, the back ground work...the hexagons, the journalling.. really this is outstanding.. love it.. Simply elegant! Love what you've done with this challenge! This is really gorgeous Heather! I love the details and the sentiment! Just fabulous! Just love this layout. Great to see the close-ups. Your use of the crackle medium is fabulous!